IAM delighted to welcome Edith back to my blog and feature as my Magnificent Guest in this new year of 2018… AND what better way to begin our 2018 writing challenge than to read Edith’s perception on Consciousness VS Artificial Intelligence and how she’s doing over in Guatemala. Like myself Edith left her beloved homeland, Austria to follow her inner knowing and travel to the far land of Guatemala to discover a new home where she could settle down, create and practice her own unique teaching as a highly intuitive channel guiding the ones who are committed to co-creating The Golden Age on Earth. Edith continues to be in love with her homeland and her life… she is excited how open she feels right now… and ready to bring in new creations and new beginnings into awakening. She feels extremely blessed with the collective energy field of this year and the increased Divine support everyone (who is open) is receiving. She made a move to San Pedro La Laguna, Lago Atitlan last year… to start off anew on all levels of her life. New life space, new friendships, new partnerships and new work. She is embracing all the love that is streaming into her life and will keep us all up to date with her love story on her blog. Edith blogs over at New Beginnings… Here is an excerpt of her latest post about the powerful new moon coming our way during this week. Just as the first Full Moon of the cycle has made a big splashy entrance into this year for mastery of divinely aligned manifestations 2018, so does the New Moon with its appearance at 26 degree and 54 minutes in Capricorn, which is coming our way on January 16th/17th. Collectively the energy field will be again a truly powerful, but this time as well deeply grounding as we find the overbearing amount of six different planets positioned in the zodiac earth sign of the Capricorn. Even that it might not be immediately visible in the bigger picture of our collective situation here on planet earth, this will be a moment in time where many little details for the united creation of the Golden Age of Aquarius are falling into place and shape up to manifest for us. So walk your path in full presence these days and do your best, exactly where you are – with those who are around you. The Capricorn is after all an animal guide that can teach us to rise step by step, and find safe footing in difficult environments! When Barbara extended her invitation for me to take part in another of her magnificent e-book productions, I was very excited to hear that the theme we are discussing is “Artificial Intelligence vs. Consciousness”. During this wonderful time of quickly appearing changes and profound new manifestations on planet earth, designed to lead the whole collective of humanity into the Golden Age of Aquarius, we have to keep a close eye on ourselves and make sure that all our new creations truly serve this higher purpose. Especially when it comes to achieving balance between a desperately needed ethical adjustment in our collective behavior, and the functionality of new systems for life on planet earth. The area of human life that I immediately thought of in this context, is the food industry. Since quite some years now, I have been following documentations of the visible impact that gene-manipulated food is imposing on the health of human beings all over the world, with growing concern for the collective state of our nutrition. Than recently I run into an alarming article on the website science.kjzz.org, speaking about the use of artificial intelligence in the tomato growing industry of the United States of America. A huge greenhouse facility north of Willcox is growing tomatoes. But they’re not using traditional methods to produce the crops: they’re using artificial intelligence. This kind of high-tech farming will grow our future food. Walking into tomato company NatureSweet’s greenhouse is like walking into Willy Wonka’s chocolate factory. The long hall between the growhouses bustles with workers moving tomatoes and shouting directions. The general manager, Gustavo Vera, shows off the rows of tomato plants growing up and suspended on hooks. They’re heavy with nearly-ripe, green tomatoes. Vera explains how the eight-week process to get them to this point is done very carefully. Back in his office, Vera looks at a dashboard on his computer collecting data sent from the newly-installed cameras in the greenhouse. He points to different charts and numbers that are constantly changing. It looks like the flight deck of a science fiction space ship. But rather than star cluster maps, we’re looking at an overhead shot of the tomato growhouse we were just in. Instead of plants, they’re little dots in rows and rows. Agriculture technology specialist Robyn Lawson said it’s not the kind of AI that can take over the world, “Artificial intelligence has such this negative connotation, I immediately think of all those sci-fi movies from Hollywood, and that’s not what’s happening,” she said. While I am personally inclined to believe the professional prediction that Robyn Lawson is giving, the fact that artificial intelligence is used at all in the production of nutrition, brings anyway out important doubts in me. On the united path that humanity collectively is taking to awaken into higher vibrations, the physical body is an individual vessel, given to us in order to experience the magic of being a human on this wonderful earth. This vessel is never disconnected, not from the essential energy sources of planet earth nor from the stellar system. To the opposite, all of this natural sources are supposed to be part of a holistic approach for the nutrition of all human beings, and many people finally feel the need to take a closer look at how this truly works. Looking at the picture above we find that one factor is our active conscious relationship with the beauty and power of the sunlight, which is also reflected in a personal inner relationship to the golden ray of ascension – the radiation of our own pure soul vibration. In my article “The Alchemy of Conscious Breathing – The Golden Path of Ascension”, I shared insides about the importance of raising the awareness for conscious connection with our individual breathing pattern and rhythm. As the breath is one of the constantly available sources in our nutrition. Another important part of our food is to actively take in the cosmic energies of divine guidance, which regularly are having an impact on our life. Further on the list is a loving contact with mother earth and the electromagnetic field that is radiating from our planet, sending out strength to all beings standing on it. And essentially, the amount of energy we can exchange with life on a daily basis, is connected to how much we practice holding an open / clear inner channel of awareness and devotion. You might ask yourself now what all of that has to do with the use of artificial intelligence, and the answer is simple. The process of growing food has to continually include human care, in order to bundle all this nutrition factors thru the channel that the human body is, into the vessel that a vegetable body is. As soon as the heart and breath of a human being is involved, the alchemist in this person is merging with the alchemist in the plant spirit, creating together the wholeness and harmony a holistic nutrition truly needs. Personally I am even convinced that the major reasons that we experience organic fruits and vegetables as much more tasty than plant produced ones, apart from the healthy earth, is that many more hours of human effort go into organic production. Therefore it tastes like love to us. I am a spiritual guide, an assistant for healing processes, an intuitive trainer, entrepreneur and spiritual blogger. Over the past 7 years I have supported people interested in developing their personal, divine higher abilities; as well as empathic beings, Indigo and Crystal children, musicians, artists, healer and social worker, to step into embodying their spiritual powers and supported them in finding a practical way of translation for everyday life. You can read more about me on my about page. My education of mindfulness – of awareness and spiritual guidance includes: Breathing Techniques and voice training, variations of Meditation, Mental training by K. Tepperwein, intense training in Hawaiian Huna shamanism, intense training in Native American shamanism, training in Tantric life approach including sensitivity training for rituals of the physical body, Family Constellation work by B. Hellinger, the Creation of Healing Space, Holding Space for Ceremonial work, the Ascended Masters Teachings and the Ayahuasca spirit. While exploring fields of joyous wonder online, I was fortunate enough to discover your sacred presence. Thankyou so much Edith for delving into this deep subject that is rapidly expanding into mainstream consciousness. Its important that more and more people understand all the implications of Artificial Intelligence. AND thank you for your continued service to the Awakening of Humanity… ready to experience The Golden Age here on Earth. 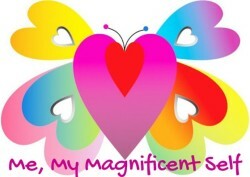 Do you want to be part of my Guest Blogger/Author Feature… Your Magnificent Self? Throughout the year, I host Guest Blogger/Author Features, putting old and new Divine Brothers and Sisters in the LIGHT. Show casing our service to Humanity during this great Awakening and Allowing ourselves to give birth to NewEarth from within. This year I’m asking my Divine friends to write about their feelings on Consciousness VS Artificial Intelligence… to shine a light on this subject this is rapidly expanding into mainstream consciousness… but do we understand all the implications? As always we will create a Free E-Book about Consciousness VS Artificial Intelligence at the end of 2018… to help inspire others to understand that each person always has a choice. For more information and how to apply, please read my post here. Sharing is Caring… and IAM very grateful for all the shares to my blog post with your friends. Together we can support each other and create an abundant, joyful and harmonious life.